Greetings from the Anime NYC showfloor! We’re here showcasing Dragon Marked for Death, and at our panel, producers Takuya Aizu of Inti Creates and Yoshifumi Hashimoto of Hakama took the stage to reveal a bunch of new information about the game! Updates for Mighty Gunvolt Burst & Gal*Gunvolt Burst Bring New Character DLC! The time has finally come, Gal*Gunners! Gal*Gun 2 is now available in North America for the Playstation 4 and Nintendo Switch, thus completing its full western release (the game was released in Europe on 4/13)! To celebrate its release in both regions, we are releasing the first round of DLC costumes for the game as well! Check out the press release that has all the info you’ll need to know here! We’re Taking Dragon: Marked for Death & Gal*Gun 2 to PAX East 2018! We are absolutely delighted to announce to everyone that we will be attending PAX East again this year, and we will be bringing not one, but two upcoming games with us to showcase to guys! We will have Dragon: Marked for Death, the dark fantasy co-op action RPG coming to Nintendo Switch later this year, and shenanigans-filled super-cute shooter Gal*Gun 2, coming to Nintendo Switch and Playstation 4 on April 24th (Switch version will be on display at the show)! We will also have merchandise available for some of our other flagship titles like Azure Striker Gunvolt, Blaster Master Zero, and Mighty Gunvolt Burst, so make sure you come by Booth 24114 and play some games, pick up some ulta-rad swag, or just say hi! To give you a taste of what it’s store with Dragon: Marked for Death and Gal*Gun 2, let’s take a closer look at each game! Gal*Gunvolt Burst Is Available Now on Playstation 4! Master the “Burst Combo” and Annihilate Your Enemies in Glorious 2D Action! Gal*Gunvolt Burst is Available NOW on Playstation 4! Today, we here at Inti Creates are extremely happy to announce that we were bringing our 2D side-scrolling action-packed title Gal*Gunvolt Burst to the Playstation 4! It is available today, March 15, 2018, just a under a month before our upcoming Gal*Gun 2’s full worldwide release! European plays will be able to play the game on April 6, 2018! Gal*Gun 2 is Coming to North America 4/24 & EU on 4/13! That’s right Gal*Gunners! The wait is almost over! We are absolutely THRILLED to announce that Gal*Gun 2 will be coming to Nintendo Switch and Playstation 4 in North America on April 24th, and in Europe/Australia on April 13th (with the exception of Germany and New Zealand, because their rating boards are not big fans of Gal*Gun)! We figured you’d be itching for some more gameplay footage, and the amazing folks at our publisher were more than happy to whip up a new trailer! This time around, it’s complete with more in-depth looks at some of the gameplay features, all wrapped up with the classic tongue-in-cheek humor that pQube is oh-so good at delivering! Dear Gal*Gunners of the world, the time has finally come! 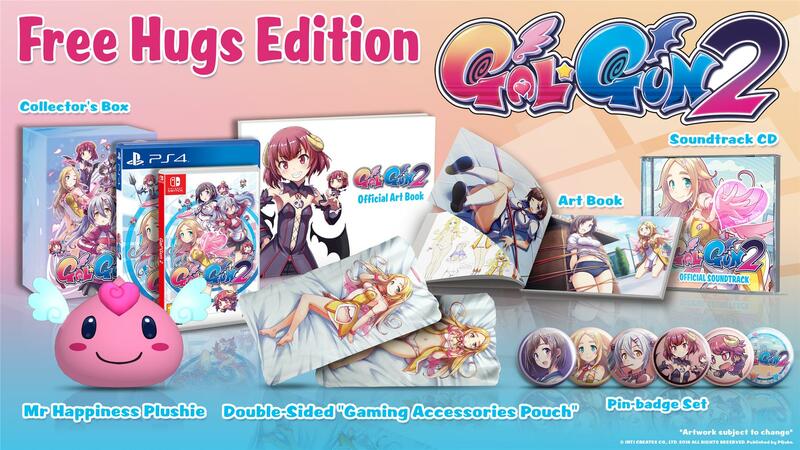 Our friends at Rice Digital are back once again bringing you fine folks a Gal*Gun 2 collectors edition that is truly befitting of its name: The Free Hugs Edition! For a long time, the silly minds at Inti Creates and Rice Digital put their heads together to figure out if there’s a way we could top Double Peace’s “Mr. Happiness Edition” and the all-star item in that set, the legendary “screen cleaner.” Do you think we succeeded? Have a look at the official press release from Rice Digital and decide for yourself! We’re Kicking Off 2018 With an Epic Inti Creates Sale on Switch and 3DS and New Year’s Wallpapers Too! Happy New Year everyone! 2018 is almost upon us, and we here at Inti Creates are beyond stoked to be able to announce a huge sale on a host of our games on the Nintendo Switch and Nintendo 3DS eShop in North America! We are just wrapping up a similar sale in the EU region as well, and it goes without saying that this sale is the biggest one we’ve ever done! From Jan. 1 at 12:00am (PT) til January 14th at 11:59pm (PT), we will have the following games on sale! Whether you’re getting these games for yourself or for a friend, this is a golden opportunity to build your collection of Inti Creates titles! At long last Gal*Gunners of the world, the time has finally come to give Gal*Gun a confirmed release window of Spring 2018, and showcase to you just how hard the time has been working to create a new Gal*Gun experience that is unlike anything you’ve ever seen! 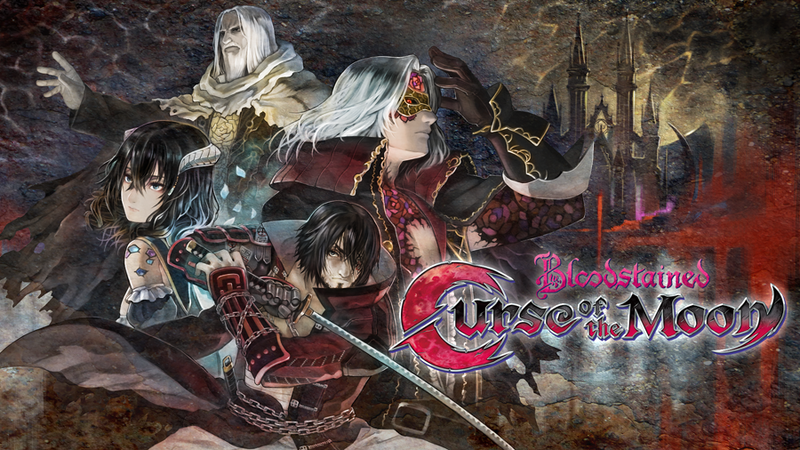 Check out the official press release from publisher pQube and the first trailer below!